Powerful Volcanoes Free Screensaver - Decorate your screen with this amazing saver. This screensaver shows beautiful images of powerful volcanoes. The erupting volcano is a spectacular, but very dangerous performance. Another show is the lava flow from the volcano's crater. 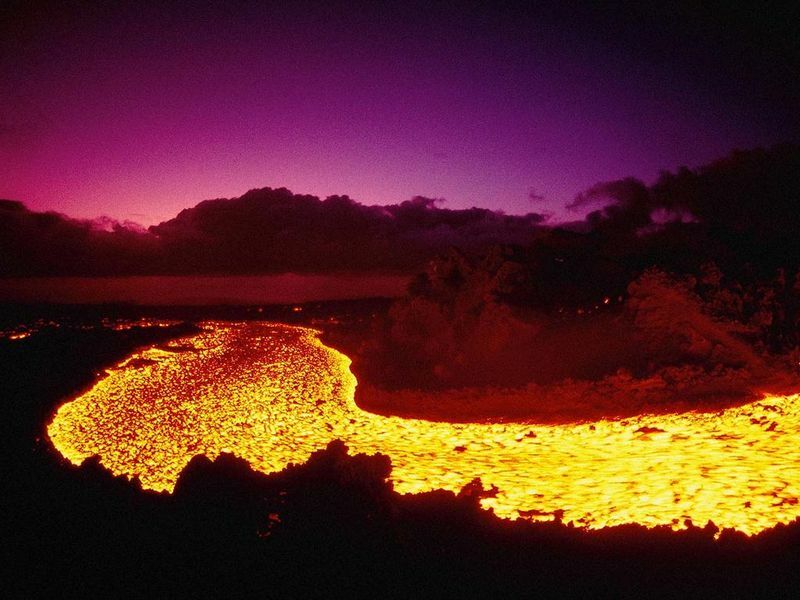 The most dramatic and impressive event is the moment when red-hot lava falls into the water producing the big clouds of hot steam and stong noise. The extinct volcanoes as usual have the lakes in its crater with rich bluish-greenish water. But nobody exactly knows whether volcano is sleeping or really extinguished... Install this screensaver and pease you eyes with the nice views of the powerful volcanoes!